Price is subject to change according to an increase in entrance fee by the government. On arrival at Pangkalan Bun airport, meeting service then transfer to Kumai (the seaport and gate to reach the National Park). Boat trip from Kumai River to Seikonyer River will take approximately 15 minutes. Lunch will be served on boat by our own cook. 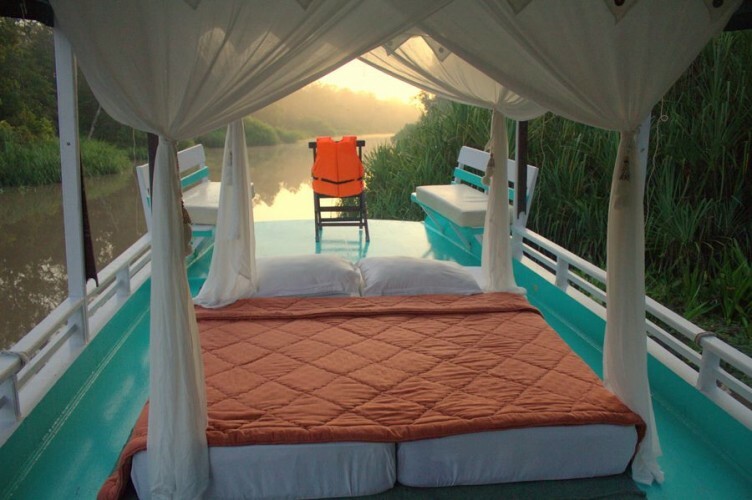 You will travel by boat for about 2 hours to reach Rimba Lodge. After check in, you can enjoy the surrounding view. 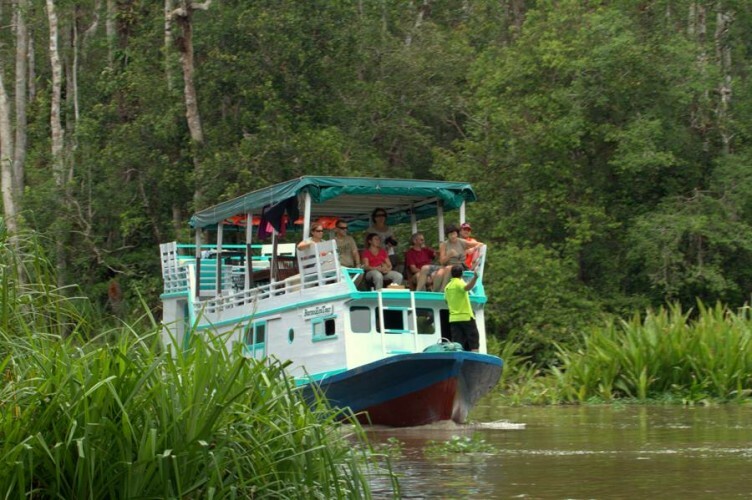 At 16.30 we will continue our tour to observe Proboscis monkeys along the riverbanks. 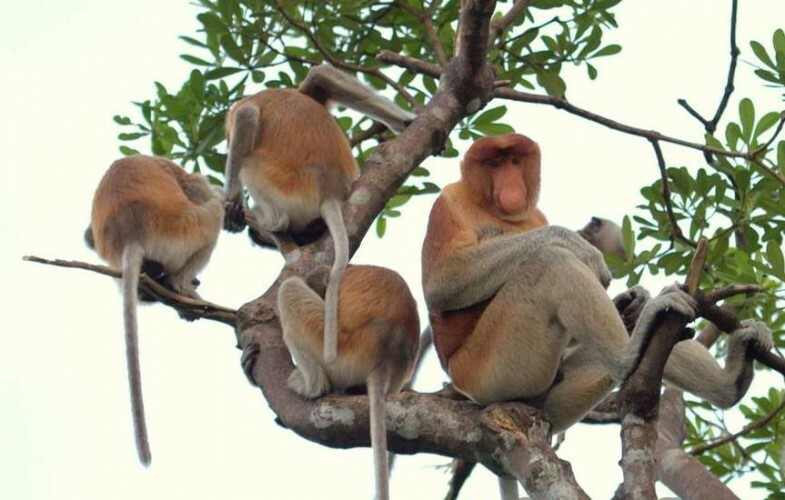 Proboscis monkeys are the endemic animal that can be seen only in Borneo. Then, go back to the lodge for dinner and rest. After breakfast, you will proceed upstream to Pondok Tanggui, a rehabilitation center where you can enjoy many babies and juveniles at feeding area around 9 AM. Next, you will go to the highlight of National Park, Camp Leakey area. You will pass the black river where you will also see many kind of wild animals, such as birds, primates, fishes, and crocodiles. Arriving at Camp Leakey, it will be followed by a trekking into the forest where you will gain information of the heterogenic forest wildlife while observing some wild animals. Lunch will be served on the boat at noon, followed by Orangutan Feeding Program at 2PM. We will return to the boat at 4PM, travel downstream back to Rimba Lodge for dinner and rest. On arrival in Pangkalan Bun airport, meeting service with our tour guide then direct transfer to Kumai, Onboard, crossing Kumai river in approximately 15 minutes to reach Sekonyer river, then cruise up Sekonyer river to reach National Park. Lunch will be served on board by our own cook. At 16.30 we continue our tour to observe Proboscis monkeys along the riverbanks. Proboscis monkeys are an endemic monkey that can be seen only in Borneo. Dinner and Overnight on the boat. Borneo is the third largest island in the world. Indonesian Borneo is known as Kalimantan River of Diamonds. Visit Kalimantan to see the beautiful balance between the wildlife, the landscapes and cultures. Experience Dayak cultures, Orangutan and their habitat with us. 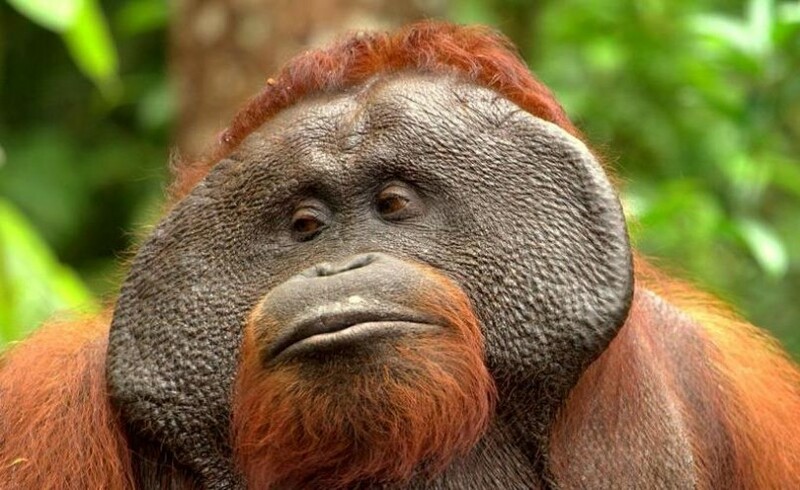 Come and see the only great red apes found in Asia. They can be found only in the two islands of Sumatra and Borneo. Tanjung Puting National Park is located in the Central West of Kalimantan. It is the last home for ex-captive and wild orangutans in Borneo. We would be glad to share our knowledge to make your visit with us will be unforgettable memory. "Nice tour to see the orangutans and sunbears!"